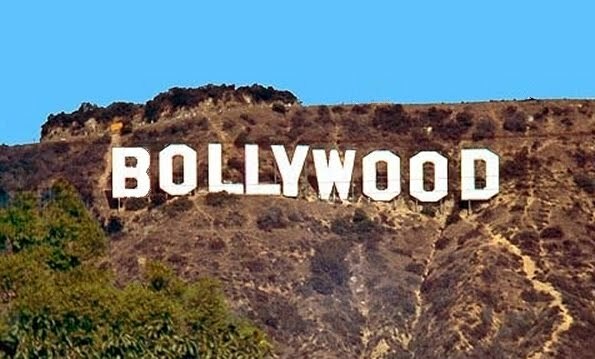 Bollywoo: 1975: Bollywood's Greatest Year! In 1939, Hollywood had what is widely considered to be its greatest year. Normally at the Oscars 5 films are nominated in each category, but in 1939, 10 films were nominated for best picture - So many films were worth watching in 1939 that the number could easily have been double or tripled. Not before or since have so many films been nominated for best picture in a single year. The equivalent of Hollywood's greatest year in Bollywood would have to be 1975. 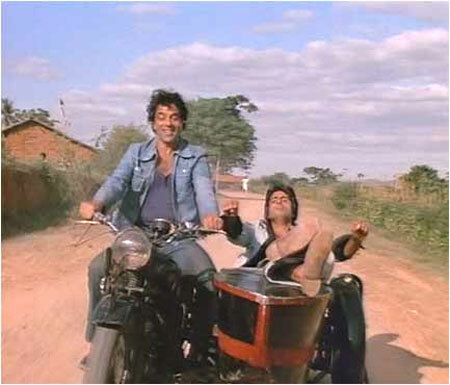 In 1975, the best picture FilmFare award went to Deewaar - but it could have easily gone to Sholay or Milli or Chupke Chupke. These films came from a wide variety of film genres and sources for their stories and settings, including these: the "angry young man" (Deewaar), family drama (Amanush and Sanyasi), a film based on the lives of then-prime minister Indira Gandhi and politician Tarkeshwari Sinha (Aandhi), and a curry western (Sholay). The five nominees for Best Director of 1975 all went on to become legendary film directors/producers with multiple stellar films to their credit. In alphabetical order: Yash Chopra, Gulzar, Sohanlal Kanwar, Shakti Samanta and Ramesh Sippy. Deewaar won Best Picture with Sholay getting shutout in all categories it was nominated in except for one. Film editor M. S. Shinde won for Best Editing - he had edited 300,000 feet of film into 20,000 feet of theatrical release. In fact, Sholay was nominated in 9 of the top 12 categories but didn't win any of those. Though the blockbuster movie didn’t fare too well at the awards ceremony during its release, it was given the Best Film of 50 Years award at the 50th Filmfare Awards. When a blockbuster like Sholay loses out on so many awards it tells us how competitive the year really was. The following figures (in Indian Rupees) are the sums that were taken in during 1975 - and in particularly for films that made their premieres in between January and December. Note that the number one film (Sholay) premiered in mid-August and shattered all records up to that point becoming the longest running Indian film in the theaters, a record that stood for over 25 years until it was broken by Dilwale Dulhania Le Jayenge. The second highest grosser (Jai Santoshi Maa) of 1975 only managed 1/3 of the revenue generated by Sholay. Of the top 20 earners in 1975, only 2 were flops (that’s a 90% success rate – today the situation is reversed we’re lucky if films have a 10% yearly success rate). As you can see the selection committee had a tough task in deciding which films get nominated for Best Picture in 1975.